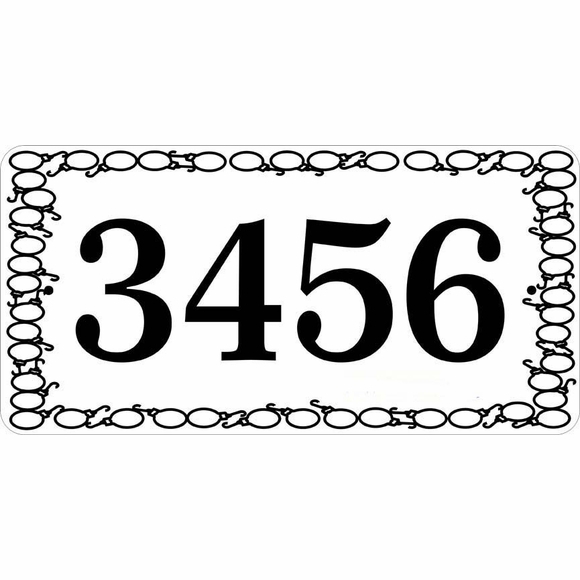 Personalized House Number Sign with Hook & Loop Border - - 12" x 6" personalized rectangle address plaque has one line that holds a maximum of four 3" characters. Made in USA. In addition to the hook-and-loop border, this sign features unique radius corners instead of the usual pointed corners. Customized with your choice of color and number you specify.